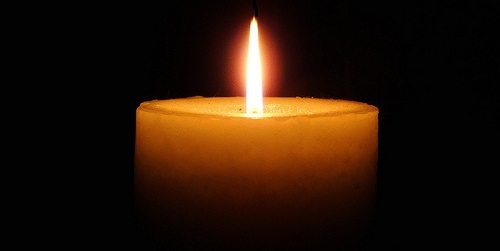 Evelyn (Seder) Heller, 104, died Sept. 30. She was the widow of Dr. Hyman Heller. Born in Webster, she was the daughter of Harry and Minnie (Sternlieb) Seder. She was a lifetime resident of Webster before moving to Chestnut Hill at the age of 95. She was a 1936 graduate of Pembroke College in Brown University. She served on numerous boards including Worcester Foundation for Experimental Biology, Women’s Board at Brandeis University, Webster Public Library and Hubbard Regional Hospital in Webster. She was a Past President of Sons of Israel Congregation in Webster and a Past President of the Webster Chapter of Hadassah. She was once named the Woman of the Year in Webster and also received an award for community service from the Massachusetts State Legislature. She is survived by two daughters, Sue Heller and her companion, Richard Sirkin, of Larchmont, N.Y. and Elaine Heller Goldstein and her husband, Dr. Joel Goldstein of Denver, Colo.; a sister, Edith Seder Kaye of Highland Park, Ill.; her grandchildren, Dr. Michael Goldstein and his wife, Jennifer Rapaport, of Cambridge, Robert Goldstein and his wife, Mara Riemer Goldstein, of Brookline, Deborah Goldstein and her husband, Dr. David Sosnovik, of Newton, and James Null and his wife, Mara Null of New York, N.Y.; and great-grandchildren, Hanna Goldstein, Zoe Goldstein, Sophie Goldstein, Maya Goldstein, Lila Goldstein, Owen Goldstein; Ellie Sosnovik, Charlotte Sosnovik and Eliana Null. She was predeceased by a brother, Hershel Seder; and three sisters, Dorothy Seder, Ada Greenbaum and Betty Fishman. Memorial contributions may be made to Brown University, Office of Financial Aid, 68 Brown St., Providence, RI, 02912; UMass Memorial Healthcare, 55 Lake Ave., Worcester, MA 01655; or to Worcester Foundation for Biomedical Research, 333 South St., Shrewsbury, MA 01545.